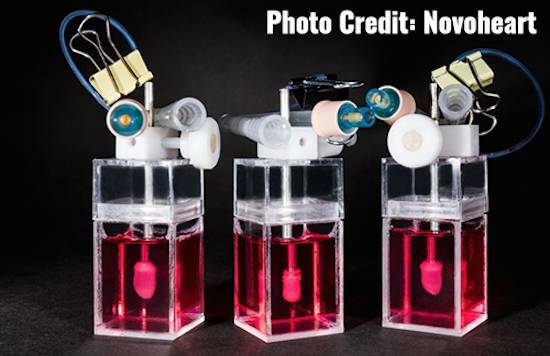 Founded by scientists Kevin Costa, Ronald Li, and Michelle Khine, Novoheart is working to revolutionize cardiac research and drug development by creating animal-free systems that can mimic the pumping function of a human heart. 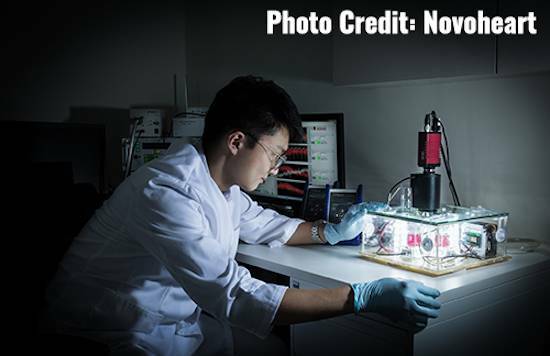 Grown from human induced stem cells, the company’s “hearts-in-a-jar” produces an accurate biomimetic model of human hearts. The most commonly used animal, the tiny mouse, has a heart that beats 5-14 times per second, in contrast to the human heart at once per second. 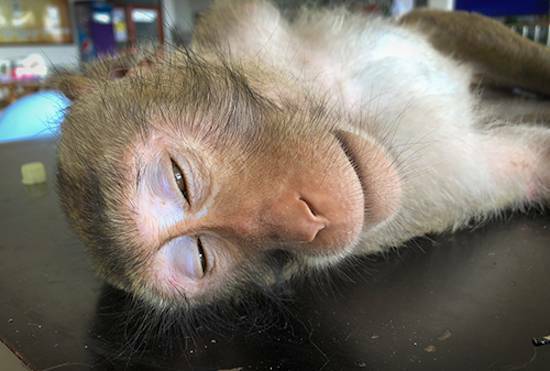 Yet despite this profound difference in underlying physiology, scores of mice and other animals, including monkeys, dogs, cats, sheep, rabbits, and rats are being dismembered and used in unconscionable ways in the pursuit of studying human heart disease. 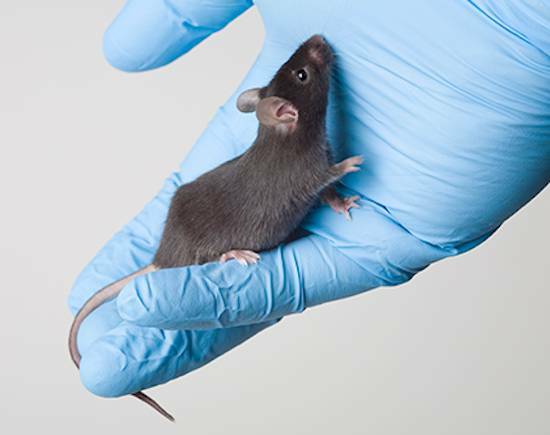 After dosing baby mice in isoflurane, scientists dunk them in ice water to induce hypothermia. Open-chest surgery is performed with the mouse taped to an ice bag while major arteries are ligated shut, causing heart tissue to die. The fetal mice struggle to survive and recover, after which they are dissected to see how their hearts healed from the damage. This practice of ligating arteries is not just used on mice. It is also done on rats, sheep, and monkeys. Rats are subjected to a procedure known as overload-induced cardiac hypertrophy, in which a clamp is put around their aorta to make their heart beat harder. This leads to increased muscle mass and eventual heart attack due to vascular constriction. In monkeys and dogs, surgically added pacemakers artificially increase or decrease heart rate, permanently damaging the animal’s heart as the organ is forced to grow or atrophy. This is far from a complete list but furnishes a window into the terrible suffering and extraordinarily high cost to animal life extracted by attempting to replicate human heart disease. In contrast, Novoheart’s organoid mini-hearts open up a whole host of possibilities impossible with animal tests. Their miniaturized, fully-functioning vascular systems connect up with advanced bioreactor computer systems that keep the human heart cells beating with an electronic pacemaker. The computer can manipulate the system and also measure key cardiac factors, such as blood pressure and oxygen consumption, all resulting in human-specific measures that better predict how therapies will behave in actual patients. This disparity between superior emerging technology — always ascendant, and more human-centric with each passing day — and crude animal tests — forever static, and always inhumane — highlights the urgent need to shift the paradigm away from the multi-billion dollar global industry currently sustaining these massive, ugly, and consistently flawed animal experiments.